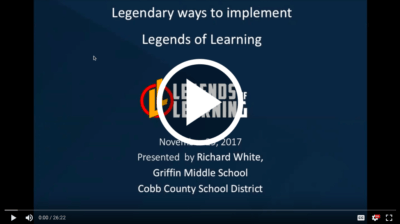 On November 29, STEM Certified leader Richard White delivered a Legends of Learning test prep webinar. Richard is a teacher leader at Griffin Middle School in Cobb County, Georgia, where he has worked for the past 6 years. With December quickly approaching, many teachers will enter a review period for end-of-year testing. 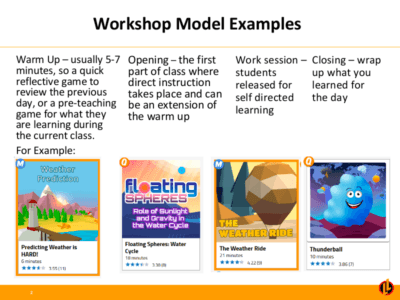 Richard’s webinar provides helpful tips for Legends of Learning teachers to use games for test prep as well as for enrichment, and offers tactics to deploy science games as an engagement technique for distracted students. Richard is passionate about teaching and learning, and believes that there is some way to reach every student that he encounters. He has presented professionally at several local conferences, and is responsible for helping to train new teachers at Griffin. Richard joined the Legends of Learning platform in November of last year as an ambassador, and began testing games with his students as soon as they were rolled out. He has also presented on LoL at local conferences.